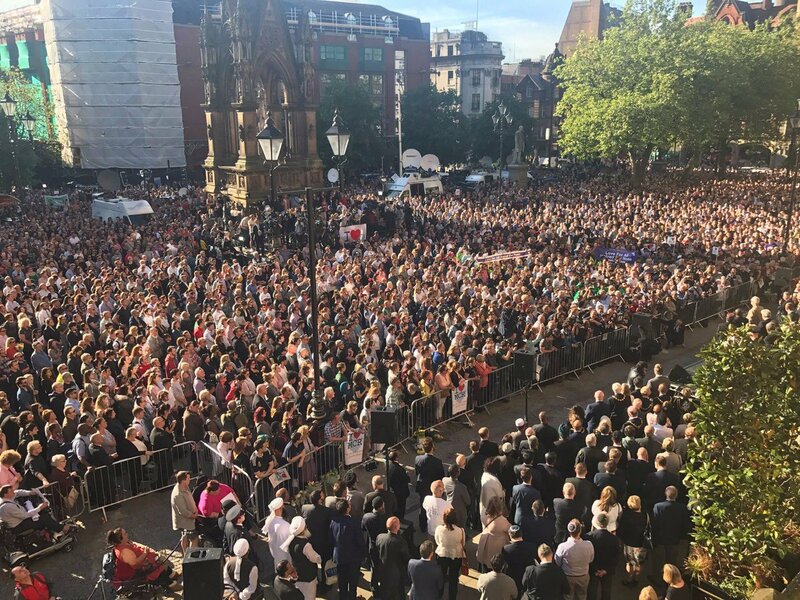 Thousands of people attended a vigil at Manchester Albert Square to respect those who lost their lives in last nights bombing. Music fans who went to see a performance by US Singer Ariana Grande where leaving the show when a bomb was detonated by 22-year-old Salman Abedi. 22 people were killed and 59 injured in the attack. Tributes have come from world leaders across the world. Entertainers including Kim Kardarshian- West have also sent in messages of solidarity. “Concerts are supposed to be a place where u can let loose & have fun. So scary to not feel safe in this world. @arianagrande I love you 💕,” she wrote in a message on twitter. This is the second terror attack on UK soil this year. In March, a police officer, PC Keith Palmer was stabbed to death by Khalid Masood as he stood guard at the Palace of Westminster. Masood, also killed four others before he was shot dead by a police officer.